Date 13/02/2018 (19:34-22:36). 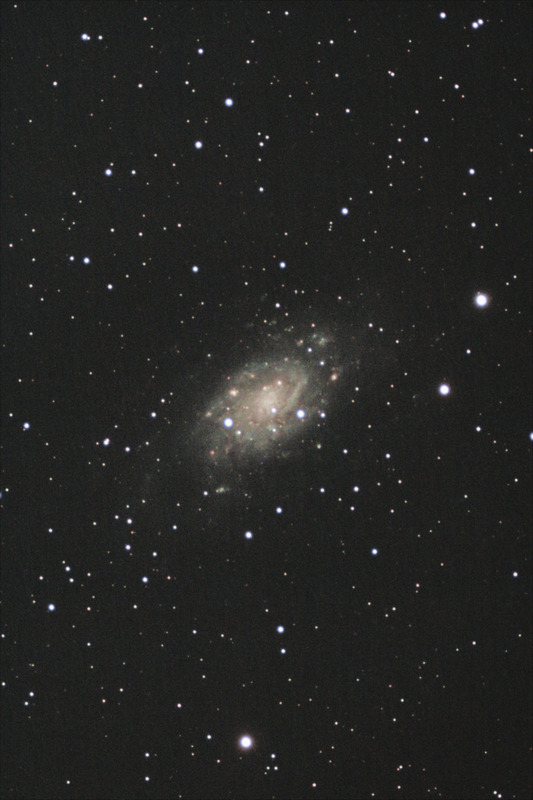 NGC 2403. 2x drizzled (Non-drizzled attached). Weather: Excellent clear skies, no wind, good seeing. Settings: 56 x 3 minute lights, 50 darks from library, 100 flats taken the next day and 100 bias frames taken next day. ISO 800. Mount: Skywatcher AZ-EQ6 with extension pillar. The mount was auto-guided with a synguider (version 1). Processing: Calibration, registration, integration and basic image stretching all done in DSS. 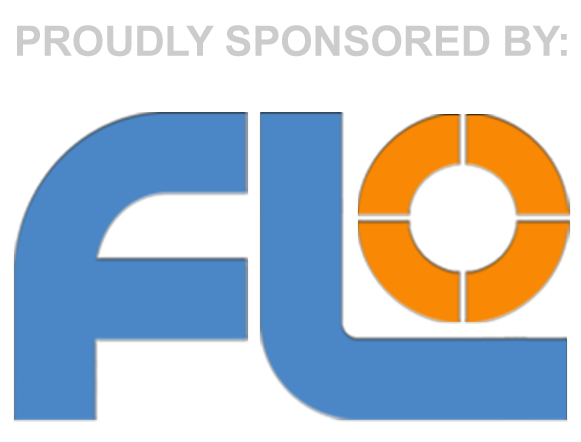 Some tweaking done in GIMP. No problems with the flats this time. I was very careful not to nudge the camera coming back into the house. The frames were 2x drizzled. 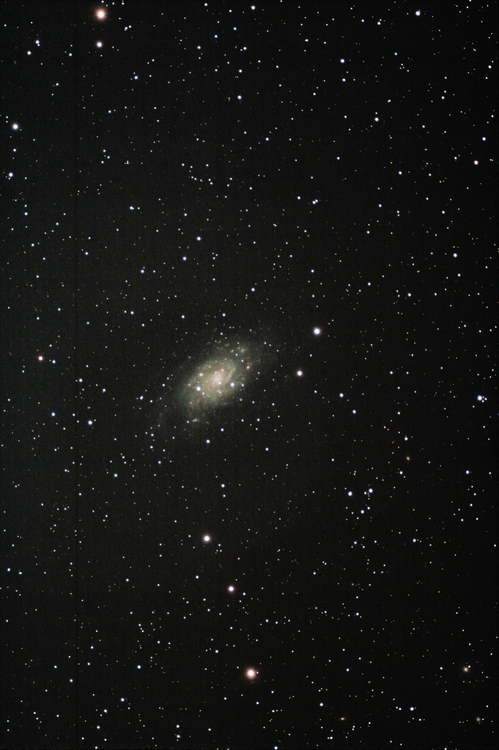 I am pleased with NGC 2403, it is faint but just visible in the camera viewfinder. After stacking, lots of faint clumps of the galaxy can be seen as well as the diffuse glow the galaxy has in between. The faint spiral arms show the tilt of the galaxy's axis relative to us. As for the imaging run, I was very happy. The autoguider worked flawlessly and my polar alignment (just using the polar scope) was bang on. The auto guider made only one or two corrections for each 3 min exposure (this is the best I have seen). All subframes were used for stacking.